Now in her mid-20s, Georgian pianist Mariam Batsashvili already ranks among the most promising of young artists. She gained international recognition at the 10th Franz Liszt Piano Competition in Utrecht, where she won First Prize as well as the Junior Jury Award and the Press Prize. This success led to her first performances with leading symphony orchestras and to an extensive program of recitals in more than 30 countries. She was nominated by the European Concert Hall Organisation (ECHO) as ‘Rising Star’ for the 2016/17 season. 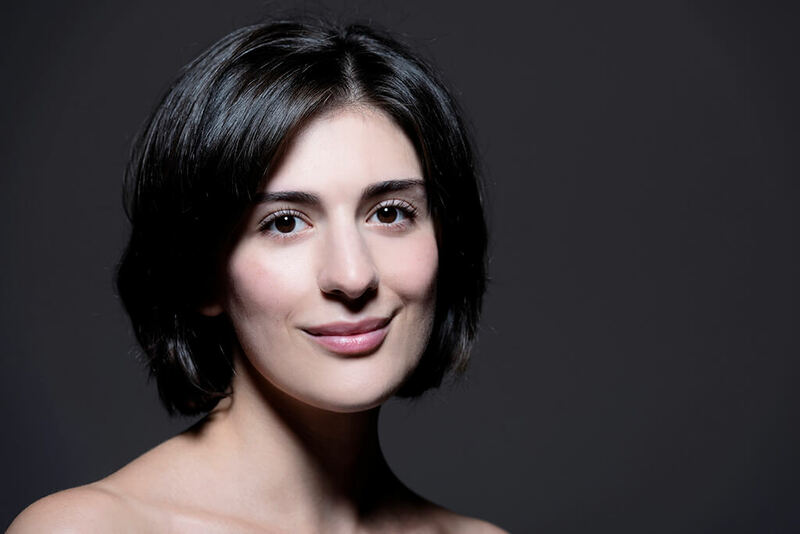 Ms. Batsashvili has been announced as a BBC Radio 3 New Generation Artist and is performing at major festivals and concert venues across the UK as part of that award. Daphne Tan, University of Toronto speaks on the topic of Music and Emotion. Daphne Tan is Assistant Professor of Music Theory at the University of Toronto. Prior to joining the Faculty of Music in 2017, she was an assistant professor at the Indiana University Jacobs School of Music (2013–2017) and a visiting instructor at the Oberlin College Conservatory of Music (2012–2013). Her research concerns historical and present-day intersections of music theory, philosophy, and psychology. Among the topics she is actively engaged in research on are the history of music theory, music perception and cognition research. She was appointed to the University of Toronto in 2017.